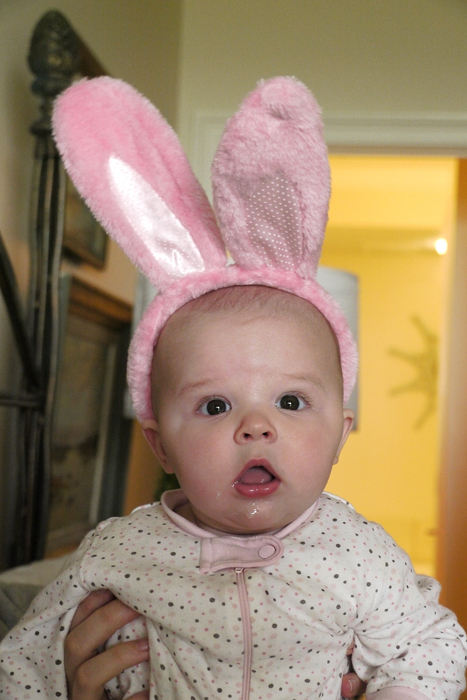 It's Molly's first Easter... and she took the "He is risen" saying to heart... and got up extra early to celebrate. But after a little TV and some time in the bouncer (bunny hopping?) 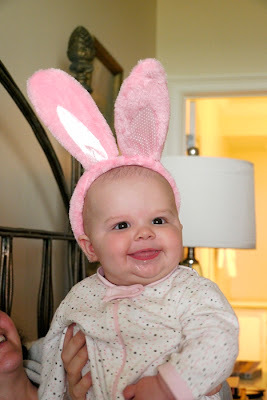 she went back to bed. 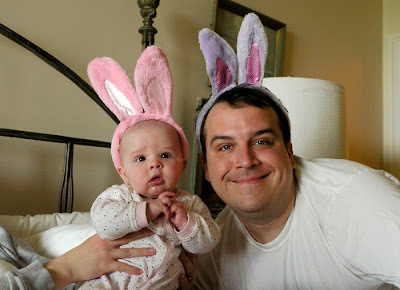 We may put her in an Easter dress later today for the cameras... but, for now, here are a few of her... and Dad, in a slightly regrettable photo... with bunny ears (from Grandmama) last weekend in Florida.